Don't know how I lived without it! I have had my Robo Laser for only a few days now and already I don't know how I lived without it. It took only minutes to learn how to use it and right away I was saving the company I work for money by doing a job that once took two people to do. I am a foreman for a brick laying company and Robo Laser's first job was to help me lay out brick courseing. Just to be sure I could trust it's accuracy the first time,I checked my marks with an auto-level. It was perfect. I had no problem seeing the laser beam outside and the self-leveling feature made things quick and easy. Although I used a tripod the fact that you can sit it on almost anything as a base makes the leveling possibilities even greater.For anybody who wants a great laser at an unbelievable price this is the tool for you! I got the RoboLaser to help me layout a patio that I had being planning on doing for a while. I set up the RoboLaser on a camera tripod, got my remote control and a yard stick and was able to layout the patio in no time. The RoboLaser is easy to use. The laser dot was bright and had no difficulty finding it during a sunny day. I really recommend it for all those jobs that require leveling. This is truly a one-man surveying tool. I bought the robe laser a couple of years ago and it worked fine, but recently it went out of calibration. Too bad it doesn't have an auto self-calibration. When the tool was working, it was a fantastic time saver (I'm a carpenter and general contractor) and one man set-up/use is invaluable. However, I recently was checking my newly poured foundation walls for level and was quite alarmed at 1-1/2" out of level with a shoot-spread angle less than 60 degrees so I borrowed a buddys' old but acurate scope transit to verify what's what and discovered only a 3/8" out of level foundation. So until I can spend the time to recalibrate it, it's useless. Now, I'm considering purchasing another one or stepping up to a cst/Berger or pls5x for the extra $250 and name brand reliability. 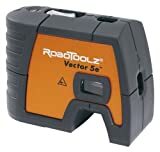 I also have the robo-vector which, when it was working, was also a fantastic tool for squaring up corners and plumbing anything, however, it too is on the fritz, therefore useless until repaired/recalibrated. You get what you paid for, when this tool works its amazing, but if/when it goes out, its useless and a waste of time. Maybe I just got the lemons? There was a long delay between order and delivery, and Amazon.com finally shipped me a newer model, the 7210-1, which includes a line generator---and perhaps other improvements. This is about that model, not the RB01001. Though I obviously don't really know, I imagine that anyone ordering the 01001 from now on will actually receive the 7210. It worked exactly as advertised, and is easy to use. The remote control makes it easy to do a one-man leveling job. It was well calibrated out of the box, but I tweaked it, and recalibration is easy. (Just like any level, reverse it and split the difference.) I have no meaningful complaints, and the price is certainly right for a self-leveling laser. Obviously I have no idea how it will stand up under rough usage. My only minor complaint is that the calibration plug is awkwardly located, and my own clumsy paws had a lot of trouble removing and replacing it. Though the instructions don't say so, it isn't even possible to remove it without a prying tool of some sort. I was tempted to not bother replacing it, but that would have left a hole for dust to get into the mechanism, which seemed to be a bad idea. The only reason I gave it four stars instead of five was that I imagine that one can get fancier tools for three times the price, and it's good to leave room at the top. This one is plenty good enough for me. 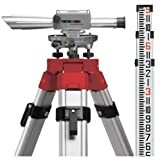 Price is very reasonable, after using this tool a few times it is very easy to use, I checked the plumb lines with a plumb bob to insure accuracy, and it was dead center at 15 feet high. the level is also very accurate--I use it to set cabinets, and for laying out. Just as important, the tool makers customer service is impressive, and they are very helpful with any questions or support. I think because of that I should have rated this tools with 5 stars. I got my 7610-5 as a factory rebuild, so I am not out as much as some of you. When I first got home, I thought it was broken, but after 20 mins or so, it finally leveled itself. I was able to use it on a job 1 time, but after storing it (in an air conditioned room) for a couple of months, it never worked again. Customer svc will not answer emails, and a call to the factory says they will charge $85 to fix it no matter what is wrong, maybe good, maybe bad. I really wish that I had a laser that I could rely on, but this is not it. As a remodler, my tools must work when I get to the jobsite, always. 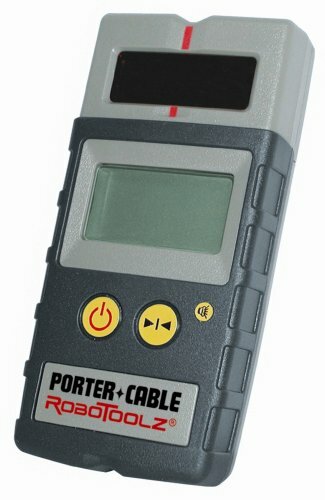 I am very disapointed, especially now that porter cable has started selling them. Every other P.C. tool that I have is excellent, this will bring down the quality of their product line. I have had this level one and half years, using it about ten times. It worked well and saved me alot of time. My one very minor complaint would have been its long search times to find level. (Longer than others I have used.) Now I have a major complaint...after storing it in the recommended manner for five months, it will not produce a beam...it justs searches for level. The little motor hums, the little gimble indexes and I get nothing. It was working fine, no abuse, no accidents...can't recommend it now, can I? purchased this after going through much pain trying to locate several downlights in a large living room. That job alone paid for the puchase. Since then I've used it to lay out landscapes, fences, and cabinets. The self-leveling feature is perfect for amatures like myself. Some minor qualms, it's well built, but not bullet-proof (why did they move to servos for the level?!!? ), the laser seems to shoot too large of a dot, and it's hard to see outside (even with the aids supplied). As others have noted, It's also very sensitive to being bumped, or serious vibrations; This has never been a problem for me, I'm not a contractor, but I can see it being a pain on a busy job site. As a small remodeling contractor I frequently work alone. I need tools I can depend on to save me time and perform well. I bought the 7690-2 specifically for a ceiling job. The room is 15x40 in a very old house. Floor and ceiling are way out. The laser performed quite well. In a well lit room the beam was visible in rotation mode at 40'. When dithering the brightness increases considerably. Beam thickness is about 1/8" at 40'so I calculate from beam center. Construction and performance is very good, well worth the money. Controls are easy to use and understand. the remote control/sensor is very convenient and I have used it more than expected. 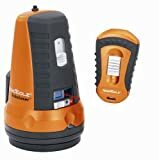 A self leveling rotating laser (in two planes) at this price and performance level earns it 5 stars. A tool that makes me money! 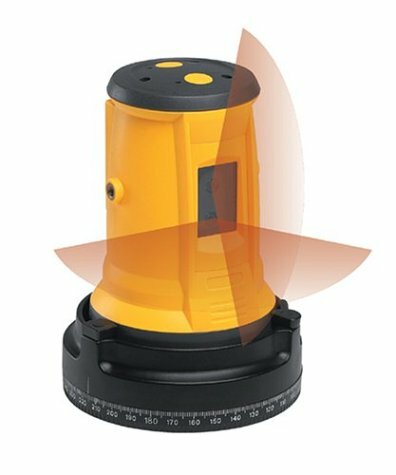 As a buidler that was schooled on the old David White L6-20 dumpy level, I am really juiced with the influx of hi-tech tools that are now on the market. 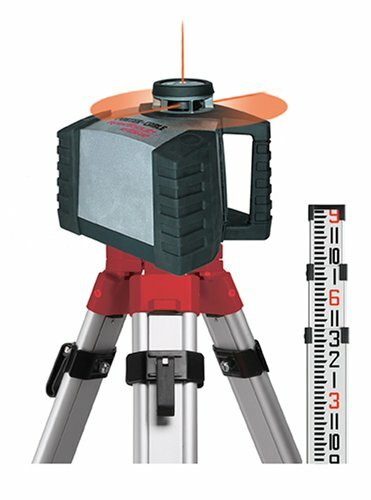 To date I have purchased two of the RT-2's and have noticed a distinct improvement in the overall quality and speed of our work. 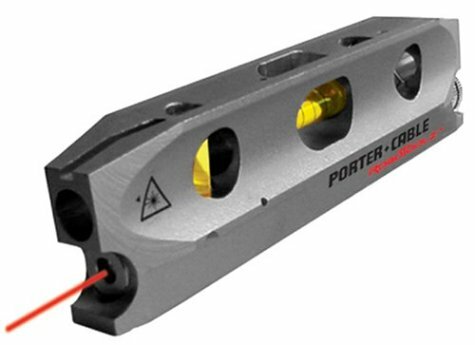 The self-leveling feature is a must have for worry-free accuracy. The remote control saves me time and money. Whoever dreamed of the additional plumb line is my hero- it really helps with framing and has put an end to the complaints and call-backs from the finish guys about our walls being out of plumb! My only wish is that the rotating beam was a little brighter but the enhancement glasses and the line dither readily compensate. And the price- unbelievalbe. enthusiastic recommendation - exceeded expectations! I bought this to build a 60' x 130' clear span arena. I have used just about every feature on the product, and it worked great (and SOLID) every step of the way. Used it to: line up post holes, plumb posts, calibrate level/height for beams/trusses. working alone, or with a small crew, this unit is a BIG time-saver. no problems with battery life, reliability, repeatable marks/measurements, outdoor job conditions. the sensor on the remote control was a HUGE help, and is dead on (within 1/8th inch) over 130' span. This was a good buy! You need three AAA batteries to really use this tool, and they don't ship with it. I'm using this to build a deck. Very handy and growing more indespensible as time goes on. The only reason I dropped a star down to 4 is the lack of readable instructions. I found that the battery cover has a spring loaded cap that pulls out, turns a quarter turn and stays off! I had to discover this on my own because the instructions appear to have been written by an Asian speaking Asian trying to write in English. Thats my only gripe. Great tool. Wish it was around years ago!! Bought one to use for running a gutter extension 60'. Put it on a tripod, leveled it, and then just walked along with a 48" rule checking the drop every pipe. Couldn't be easier. As the other reviewers have mentioned, the "on/off" switch is unscrewing the battery cover. Kinda lame considering how well designed it is otherwise. Besides the leveling plate, the bottom has several magnets which really held. I didn't need to screw it to the tripod, just placed it there. The photo in Amazon is WRONG as it only shows one beam but this actually has three (as the description says). The quality is fantastic and so easy to use. 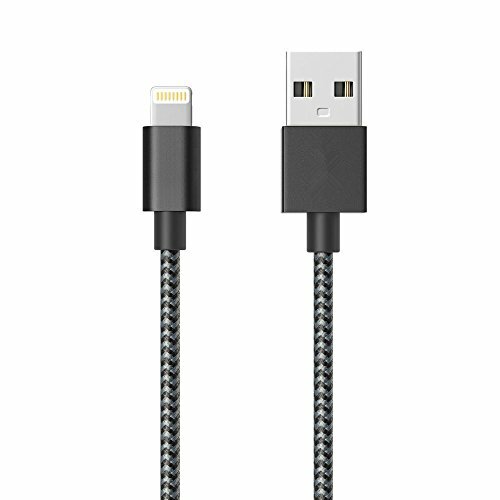 I got mine just in time to build a fence in the front yard and this will make it so much easier. I've seen other laser levels with less features for more $. And it's a great cat toy *ha* (shine the light on the wall and watch the cat go nuts - just don't get it in their eye. 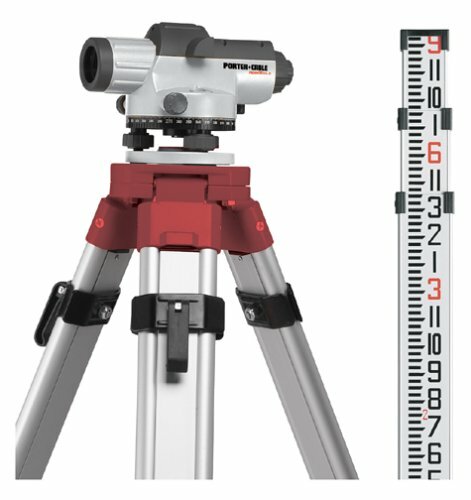 Accurate to +\- 3/8-inch at 100'; tripod mount included. 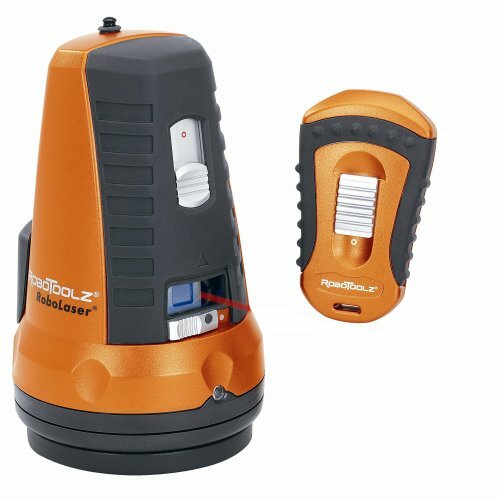 Great rotary laser--German Quality for under $200. This rotary laser hails from Germany, a rarity in the under $500 rotary laser market. Similar products typically originate in China; finding a German made rotary at this price point is a serious find. 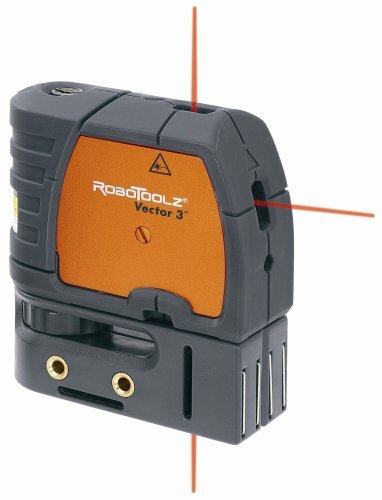 Using the Robotoolz RT-3620 could NOT be easier; it only has 2 buttons; one is the ON/OFF and one is a 3 position mode button. It also has a shield over the rotary laser itself that allows you to further fine tune the laser for more accurate work. Ergonomics are superb; a chimp could work this laser. As with all rotary lasers, exercise caution to not look directly at the laser; it may be 'eye-safe', but I would make it a point to train yourself to keep your eyes away from it. If you're used to simple laser pointing devices, don't trick yourself into thinking this one isn't MUCH brighter; it is. 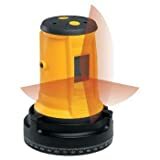 The RoboTools rotary laser can be used for plumb or level; it actually has two laser exits, one horizontal and one vertical, although you'd be hard pressed to use them both, concurrently. My only complaint, but one I knew before I purchased, is that this laser is NOT self-leveling. 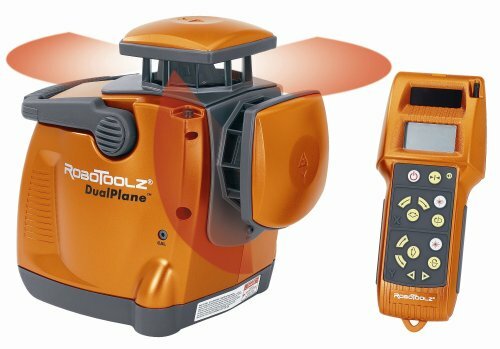 Self leveling is a great convenience, but RoboTools thoughtfully provided 3 bubble levels to allow you to get the laser in level across 2 planes. Fine tuning is accomplished with dial wheels that really fine tune the accuracy. Good for the money, bad for the pro!! 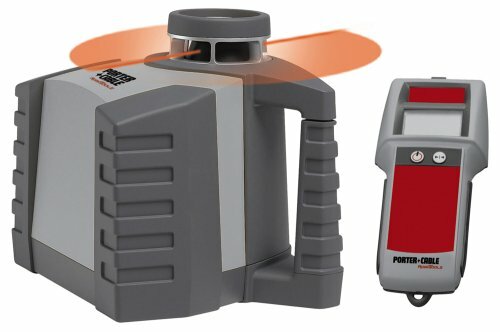 We have purchased five (5) Robo Lasers, and just because we have made that many purchases of it should let you know that there is something we like about it. It works well and the fact that it is self leveling and remote control, makes a one man project out of most line setting. The "bad for the pro" as formentioned comes from the experience that we have had with it. It is kind of like a hologen light..... it is great to have when you need it, but knock it over just once and you just as well throw it in the roll-off dumpster. My crew find themselves working outside in the breeze and sometimes wind quite frequently.... the laser on the tripod and a brisk breese = no more laser level... be prepaired to treat this one with kid gloves. I purchased this item mainly due to the remote control. I usually work alone and the ability for one person to use this thing is great. I have found the beam to be bright enough to be used outside (though I was in the shade). The other feature I found important was the price. I couldn't justify the hugh prices that some self leveling lasers demanded. As another reviewer mentioned, this is not a rotary laser. It will not project a laserline around a room. It also does not have the rotary laser price. I used my laser to mark points and then snapped chalk lines between the points. That worked very well for me since I would want a mark on the wall for tile alinement. I have noticed that newer models than mine now apparently come with a clip-on lens that spreads the dot into a line. I don't know if this feature works well on not. So if you need a tool that can help a single user level a foundation for a deck or mark reference points on a wall to be then connected with a chalk line, this thing is great. 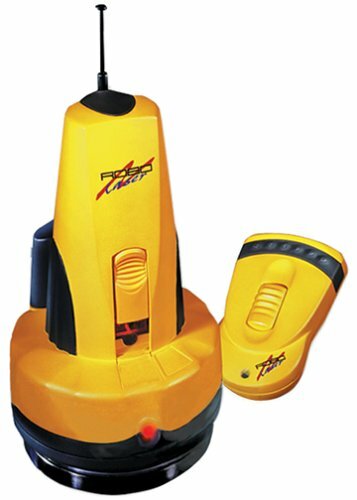 At the last cabinet shop I worked at we were thinking about a laser level but never purchased one. I went to work at a high end cabinet shop and they have three of them. the owner said he wished he would have purcahased them when he was installing! we use it to find the high and low spots in the room to set our toe kick to. we make our marks then snap a line for reference, then use the stabila levels to fine tune. I was just on a job and I let the tile guy use it and he was very impressed ! he will be carrying one soon !!! I purchased by robolaser last year (without the line generator and tripod) and have used it on several projects. I have been pleased with its performance. I have never had to recalibrate it though I treat it gently. For example, I am always sure to shut the slide over the "eye" of the laser as this locks the mechanism to prevent damage. The tool has worked for me and I would recommend it to others. Be aware that this tool eats batteries and I always travel with spares in the case to avoid having to stop and go buy more. 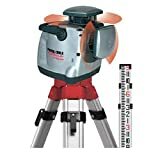 I recently purchased a laser pole for interior work and a tripod is a great idea for exterior work. The included rotary base provides 360 degree angle reference points and standard 5/8" x 11 tripod mount. The 360 degree horizontal graduated circle allows user to establish and check angles without repositioning the instrument.